The University of Reading today issued a press release on exciting Late Glacial finds and geo-archaeological evidence from Islay, Inner Hebrides, Scotland. Trial excavations in 2013 have, literally, just scratched the surface. “The archaeologists are grateful to the game-keeper who came across the Mesolithic objects after the pigs, who were released on Islay to reduce bracken, unearthed them, and thankful to the resident who knew of the earlier work the Reading team had conducted on the island, and tipped the researchers off. All praise to the JQS for being open-access too! 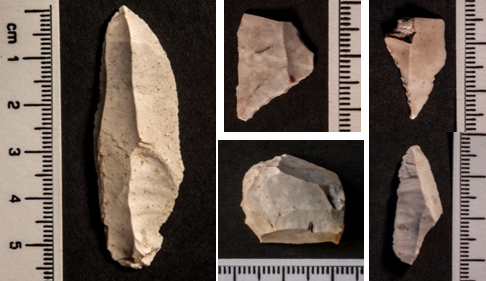 This entry was posted in British archaeology, Hunter-gatherer-fisher, Microburin miscellaneous, Sites and finds by Spencer Carter. Bookmark the permalink.